Lurvey White Ventures has been identified as the development company. 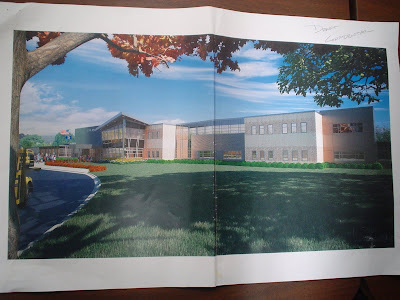 The plan, which Sanderson said will be finalized by Sept. 17, would have to be passed by the state legislature before the sale would be completed and construction would begin. 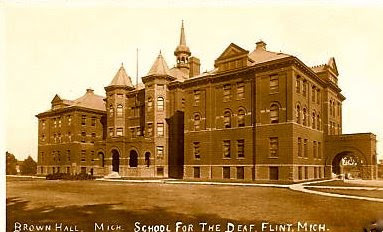 Under the proposal, the state would sell the property on Miller Road in Flint to the investors, who would build several new athletic fields, repair and expand parking, raze some buildings, restore the historic buildings and build two new schools to be leased or owned by Powers and the Michigan School for the Deaf. Nice location, but I don't see how that modern building is going to flow well into the current historic structure. Agreed. I know it's always more money to restore, but can't we save just a few of Flint's iconic buildings besides the Mott Foundation Building? Of course, it's still early and I really have no idea what buildings will stay and which will go. Great location. The contrast between the old buildings and the new ones could be interesting, in that they make a statement about where Flint is heading. "Under the proposal, MSD's Fay Hall, Gilbert Hall and Superintendents Cottage would be renovated to historic standards while other structures, including the current academic and cafeteria buildings, would be demolished. Several new athletic fields would also be built, parking would be expanded and a black wrought-iron fence would surround the campus." It's all still a proposal, and it has to be approved by the state legislature. Let's hope the state of Michigan is smarter than the Flint school board when Powers wanted Central High. When you've got no money, old buildings that need rehab, and somebody willing to do it, you take their offer. MSD may get renovated and reinvigorated while Central sits empty for years. I think it's reasonably well accepted that FBOE's rebuffing of Powers supporters' overtures regarding the Flint Central building was wholly driven by unwillingness to have a high-quality competitor both so close to the FBOE's offices, and centrally located in the county. I'm amused that Powers supporters have found another way to be centrally located, thus highlighting FBOE's wrong priorities. 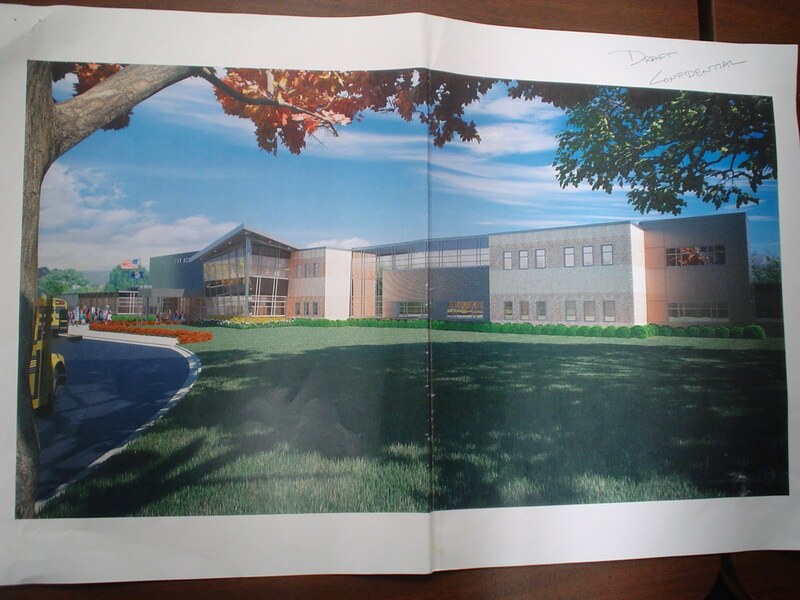 A significant part of Powers' investment could have gone to FBOE, and they might have used those funds to renovate and maintain other schools. Instead Powers' investment will go toward new bricks-and-mortar and into State coffers, and FBOE ends up with no money and a competitor anyway. FBOE should be trying to encourage whatever will achieve the best educational outcomes for Flint kids. Instead they're focused on self-perpetuation. It's another example of poor Flint governance. With Central closed, Flint Southwestern Academy should revert to a more mainstream mission. Flint Southwestern High School was once a shining beacon of what a city school could be. Put restoring SW in the mix with Powers, and the nearby Kettering University, and redevelop the corridor of roadbuilding between the campuses of MSD/Powers/SW and Kettering. I heard on The Ryan Eashoo Show that Ridgeway White and David Lourvey lost the oppurtunity to get historical tax credits since they demolished the gymnasium and other building on the property. Gazal-Lewis is the architect for the project and they show Fay Hall being torn down. Sad day in Flint indeed.